Allison Pugh is a Professor of Sociology at the University of Virginia. Her teaching and research focuses on contemporary work and relationships, particularly the intertwining of culture, emotions, intimacy and economic life. She also writes and speaks to a wider audience, as for example in The New Yorker, The New Republic, Aeon, The Harvard Business Review, and elsewhere. Her resent publications address relevant issues of job precariousness and effects of job insecurity to intimate life. Her first book, Longing and Belonging: Parents, Children, and Consumer Culture (University of California Press, 2009), analyzes how children and parents manage the commercialization of childhood. It won multiple awards and was widely reviewed. 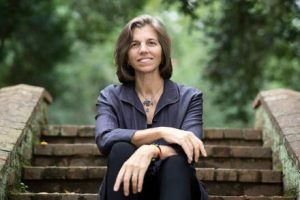 She has been also a fellow at the Center for Advanced Study in the Behavioral Sciences at Stanford University, as well as a fellow of the American Council of Learned Societies. Read more about Pugh’s expertise and her work as a researcher on her website.